Reasons may be different, but when you are stuck with a broken key, you will need immediate assistance form broken key extraction experts who can not only extract your broken key but also ensure that neither the lock nor the door is being damaged in any manner during the process. 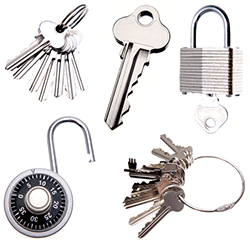 Greenwich CT Locksmith Store provides 24/7 lock and key service to the Greenwich, CT community. 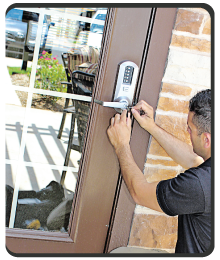 Our experts offer efficient key extraction support related to all types of residential, commercial, or automotive locks. The difficulty arising out of having a broken key in a car lock is beyond description. It requires first extracting the key and then fixing a new key or changing the lock altogether. This makes it essential to employ an expert who will be capable of doing both quickly and effectively. Greenwich CT Locksmith Store technicians are skilled in car key extraction as well as making new keys as required. We assure that your problem is resolved completely in all respects. In the case of broken key extraction involved in offices or home, amateur or unprofessional locksmiths do not care to skilfully fish the broken key part out; they rather remove the entire lock and go in for replacing it with a brand new one. Drilling involved in such operations may cause damage to door and other fittings. Greenwich CT Locksmith Store professionals ensure extraction without inflicting damage to any part. For any type of key-related assistance, you may dial 203-463-2320 and avail our instant service!